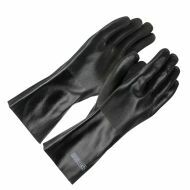 ProCoat® 12" long PVC Dipped Black Glove, Interlock Liner, Smooth Finish. 12 pairs/BX. 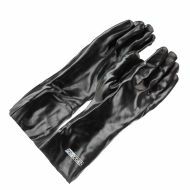 ProCoat® 14" long PVC Dipped Black Glove, Interlock Liner, Smooth Finish. 12 pairs/BX. 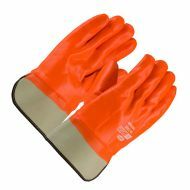 10.6" long Foam Insulated PVC Dipped Glove, Smooth Finish, Safety Cuff, Hi-Vis Orange. 12PR/BX. ProCoat® 14" long PVC Double Dipped Black Glove with Jersey Liner and Sandy Finish. 12 pairs/BX. 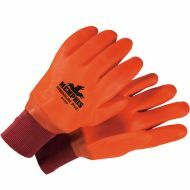 Premium Foam Lined Gloves, 11.5" long, Double Dipped PVC, Sandy, Fluorescent Orange, Knit Wrist.